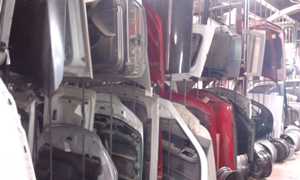 A-1 Auto Recyclers provides several distinctive auto services to the Four Corners. Filing out this contact form to get in touch with us, and we will respond to your inquiry. For cars that don’t run and may have outlived their time as a functioning vehicle, we dismantle vehicles to distribute usable parts our customers need. This service allows us to inspect a vehicle to see what parts it can offer our inventory and discover new parts we don’t currently have. If you turn in a car, we can determine a more accurate price to offer through dismantling. A-1 Auto Recyclers also recycles cars to so that the metal can be repurposed and we can make more room for other vehicles. If you have a car that is just taking up space, we can recycle it for you at our facility. We then sell the metal to recycling companies so they can find the best use for it. Our auto salvage experts also remove junk cars from homes, businesses, or any other location. Give us a call and we will pick up the car to take it to our shop for parts salvage and metal recycling. A-1 Auto Recyclers also repairs and installs several different types of transmissions including 4WD, automatic, manual, and rebuilt transmissions. We will find the best type for your car and determine if repair of your existing transmission or replacement will be the better choice for the vehicle. Rather than buying a new car, save the one you have with our engine rebuilding services. If the car is in good shape otherwise, engine rebuilding may be the best option. Our mechanics will examine your car and figure out how to rebuild your specific engine and get your car running again. A-1 Auto Recyclers can provide any type of maintenance service from an oil change to tire balancing to changing the spark plugs. We can complete one maintenance service that is needed, or recommend a list of services for the age and type of vehicle and perform them during one appointment. We always offer suggestions, but never pressure you into getting more work done that you are comfortable with. We can replace any part on your vehicle due to damage, rust, age, or malfunction with the same part. In some cases, we may be able to replace the part with a newer, better product that will make an improvement to your vehicle, such as better quality glass or a digital speedometer. Our auto team will also install any type of auto glass including tempered and windshield glass in any part of your vehicle. We work with automatic slide down windows, but also with older cars that have manual roll down windows or cars and trucks with specialty windows. A-1 Auto Recyclers has a full service mechanics shop on site. Whether you have an unknown problem that requires diagnostics, need a simple maintenance service, or require a significant repair, we have the experience, equipment, and parts available to do the work. From oil changes and fluid flushes to spark plug replacement or alternator repairs, we get all types of vehicles running smoothly again. Our mechanics team will work with you to provide a detailed estimate, make the repairs quickly, and get you back on the road.